Heat half the oil in a non-stick frying pan over high heat. Cook the lamb for 4–5 minutes each side for medium or until cooked to your liking. Remove from the pan and keep warm. Reduce the heat to low and add the remaining oil, onion, chilli, fennel, sugar and malt vinegar and cook for 20 minutes or until caramelised. Spread the baguette with the mayonnaise. 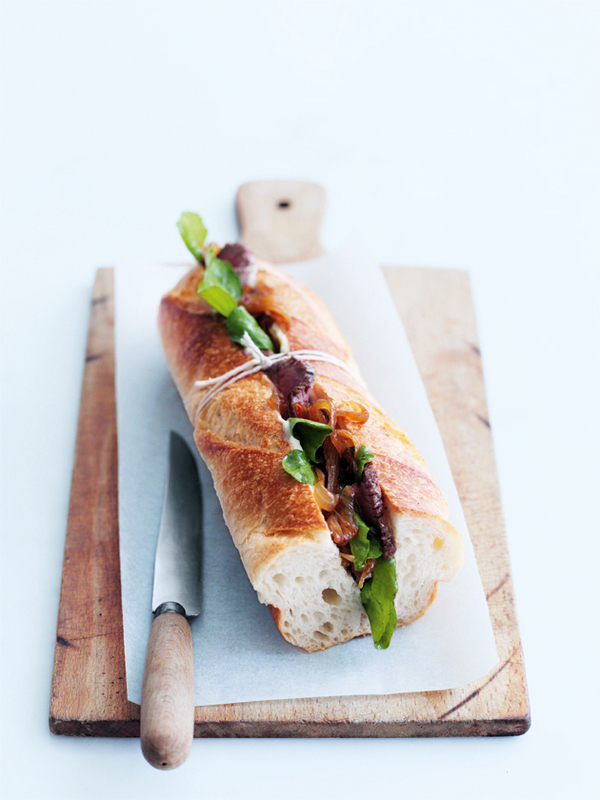 Slice the lamb and fill the baguette with the rocket, lamb and onions to serve. Serves 4.